My project, Ransom Ranch, is truly a lifelong dream come true, but I have not gotten this far alone. I would like to acknowledge some of the many people who have supported my efforts, starting with my husband Ransom Burke who left us all last August 1st (2013). Marion Sinclair has been by my side from the beginning. 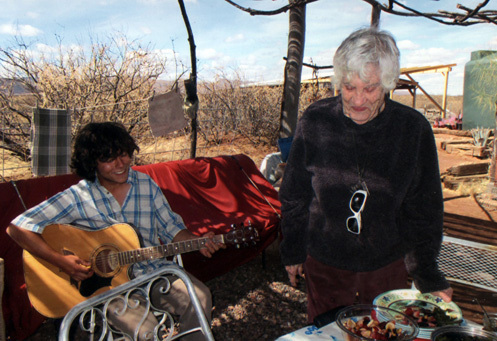 Here John is singing happy birthday just prior to her 90th birthday during the open house in March 2014!! 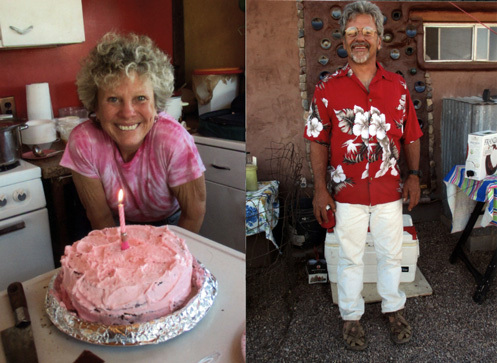 Karen and Bob are indispensable friends and supporters who’ve been there whenever I’ve needed them. I can’t say enough. This website would not exist without Lizann (left). 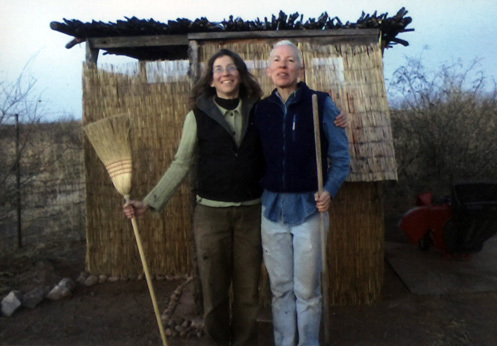 Sharon and Lizann volunteered for a great remodel on the humanure outhouse. May not sound like fun but we had a blast! 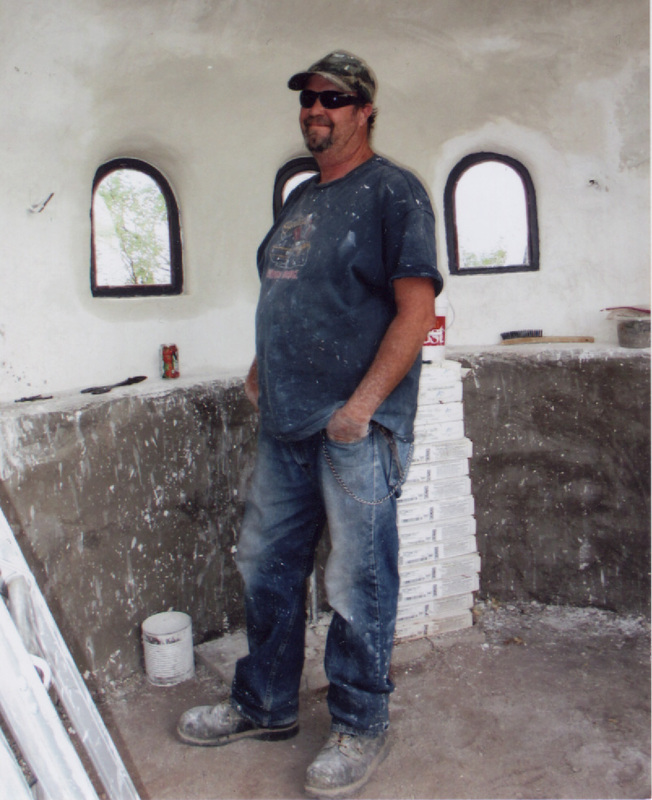 Billy’s been building with me from the beginning, six years ago (from 2008). I dig Billy because Billy digs it all! 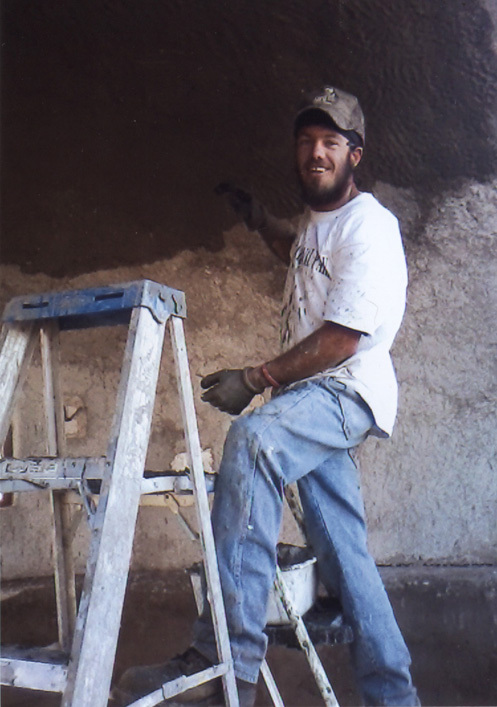 Patrick has been hard at work since 2008 helping make Ransom Ranch what it is today. Creativity, numerous construction skills, and a can-do spirit! 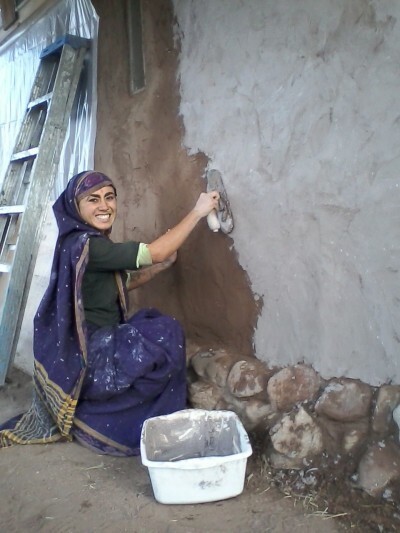 Autumn 2013, Pritvi volunteered to add earth and lime plaster to the straw bale pump house.